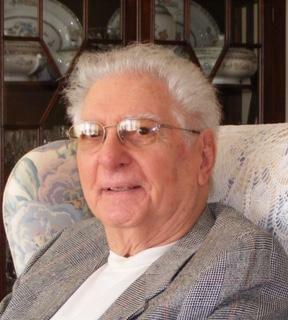 FRANO, Francis R. age 91 of Braintree MA and Jupiter FL passed away peacefully at home on Saturday, April 13, 2019. The beloved son of Rose A. (Carlino) and Abel E. Frano, and husband of Dorothy (Soucy) Frano, was born, raised, and educated in Braintree. Frank was a graduate of Braintree High School, Bentley School of Accounting and Northeastern University. As a young man, he served in the US Army 9th Division and Infantry, was stationed in Germany, and honorably discharged as a Staff Sergeant. In 1962, he opened the accounting firm of Connelly and Frano on Washington Street in Braintree. In 1989 the firm became Frano and Frano, when his son Mark became his business partner. Frank practiced accounting for 70 years and cherished the time he spent with clients, friends and colleagues. Frank was married to his beloved wife Dorothy (Soucy) for 45 years. He was the loving father of Lyn Frano and her husband James O'Dea of Weymouth, Mark Frano and his wife Donna of Pembroke, and Steven Frano and his wife Kari of Burleson, Texas. He was the beloved step father of Lisa Palmieri of New York and Robert Palmieri of Hawaii and loving grandfather of Meaghan, Mackenzie, Michael, Kristen, Scott, Karoline, Monica and Nick. Relatives and friends are respectfully invited to visiting hours on Tuesday, April 16, 2019 from 4-8 p.m. at the McMaster Funeral Home 86 Franklin St, (Route 37) BRAINTREE. A Funeral Mass will be held at 10:30 a.m. on April 17 at St. Francis of Assisi Church 856 Washington St. Braintree. In lieu of flowers, the family sincerely requests that donations can be made to the Tribute Program St. Jude Children's Hospital, 501 St Jude Place Memphis TN 38105-1942, Development Office Shriners Hospitals for Children Boston 51 Blossom Street Boston, MA 02114 or Operation Smile 3641 Faculty Boulevard Virginia Beach VA 23453.